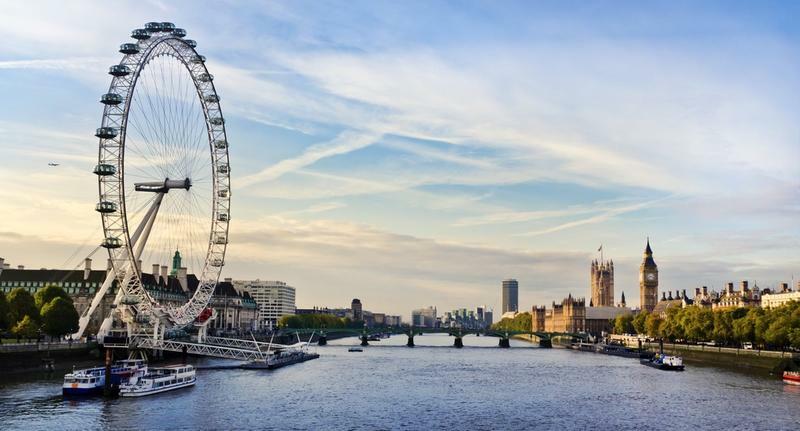 If you’ve shortlisted a UK MBA programme as one of your top choices (or perhaps a few different ones), you’ve likely heard a lot of chatter about staying on in the UK after graduation. And, you may even have a few concerns about getting into the country as an MBA candidate in the first place. It’s not as tenuous as you might think, but you do need to be aware of a few things. A few years back, MBA graduates from UK universities were given up to two years in the country after their studies. During this time, they could work and live more or less as they pleased. And, getting a UK study visa in the first place was a straightforward, even if it was a paperwork-laden, process. In 2011, the government began implementing changes to this policy¹ with an aim to cut up to 25% of foreign students in the UK. These changes (which were reflected in the issuance of visas) have no effect on MBA visa issuance to candidates admitted to reputable schools in the UK. The government’s aim isn’t to cut down on top international students from entering high-level UK schools. The UK and EU have provisionally agreed that any transition deal will allow EU/EEA/Swiss students to study in the UK until 30th December 2021. Students from outside this region are unaffected by these regulations, though others may apply. However, as about 50% of MBA candidates choose schools based on where they would like to work² after graduation, there is something you need to know. Unless you hold an European Economic Area (EEA) or Swiss passport, you no longer have two years to secure employment; you have six months. Top UK employers are aware of these restrictions³ and appear to be doing their best to ensure they make offers quickly. But, you still need to keep this in mind if you hope to remain in the UK after graduation. There are a few different UK visa tiers that will apply to international candidates in the UK, both during and after their studies. If you hold an EEA or Swiss passport, you will need to apply for a UK residence card (and that will necessitate liaising with your MBA admissions office). This is the UK study visa you'll need for your course. You'll need to apply for this MBA visa with the Confirmation of Acceptance for Studies (CAS) letter supplied by your university⁴. You must also prove you have access to tuition plus the set maintenance fee of £11,385, plus the £150 health care fee. If you have a Prodigy Finance loan, you can use it as proof of funds towards your visa. The Tier 4 UK Study Visa allows you to work part-time during your studies, full time during non-study periods and your eligible dependents can work and attend school if travelling with you. This is the UK visa that enables you to stay in the UK for up to six months following your graduation. As a recent graduate from a UK university on a Tier 4 visa, you won't need to prove that your skill set doesn't compete with UK nationals or those from the EEA or Switzerland. Nor do you fall into a quota, competing with other recent grads. Within this time, however, you will need to accept an offer from a UK company in order to remain in the country. If you have graduated from study in the UK on a Tier 4 visa, you may be eligible for a Tier 1 Graduate Entrepreneur Visa; this is for anyone hoping to create their own companies headquartered in the UK. It enables you to remain in the country while starting your business and will require that you jump through a couple of hoops to do it. Most UK MBA programmes offer some assistance to their grads, though they may be selective as to whom they assist. It’s important to remember that every admissions office will have different procedures, and you may have to provide additional documentation based on your country of origin when applying for a UK study visa. It’s imperative that you get in touch with your university early to make the process as painless as possible. To secure a Tier 2 visa, the sponsoring company currently needs to prove that there is no one in the UK or EU able to fill the position, or that you’re a recent graduate from a UK university - and you’ll need to be paid a minimum of £30,000 annually⁵. The sponsoring company must also hold a license to sponsor Tier 2 visa employees⁶. Motivated graduates are usually able to fill these requirements with licensed companies so long as they begin their search for work in the UK after their MBA early enough in the year. The career services department at every reputable UK business school is the first and best resource MBAs have, but the onus remains on the candidate (not the school) to reach out to this department, communicate their post-MBA job desires and pursue opportunities. It’s in the school’s best interest for all their students to be gainfully employed (or starting their own successful companies), but it’s not their responsibility. Currently, there is a cap on the number of Tier 2 skilled-worker visas which is one reason to hustle to secure job opportunities in the UK for MBA graduates. But, this may soon change. The immigration white paper released on 18 December 2018 proposes scrapping these limits⁷. However, Brexit also means that EU graduates will likely be joining the Tier 2 pool. When these new regulations come into play and what changes depend somewhat on the final Brexit deal. With possible deal extensions on the table and growing calls for a new referendum, it’s tough to gauge future visa and job opportunities for MBA graduates. But, even under the currently strict regulations, talented grads seeking employment in the UK have typically been able to secure it. Ready to take your career to the next level with a UK MBA? Prodigy Finance provides MBA student loans to qualified international students, including top-ranked UK programmes. You can use this financing to prove your ability to cover the fees required by UK immigration policies.